A movie producer hires a pair of psychic sisters in an attempt to record a ghost on film. Rebecca Zlotowski's second feature, the nuclear noir Grand Central, is one of the great overlooked and under-rated movies of recent years. 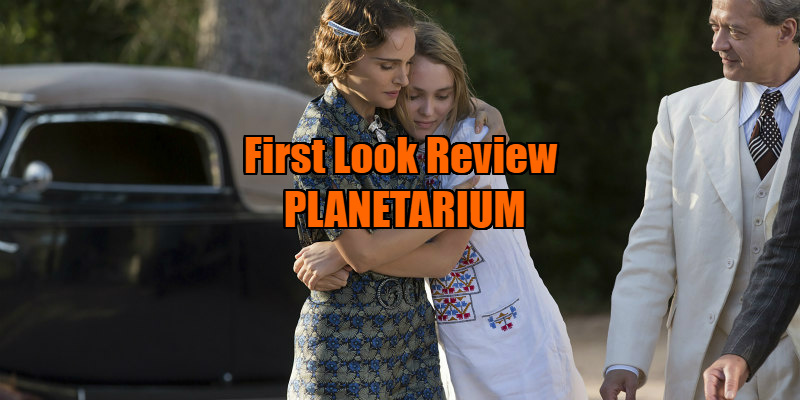 It seems somebody was watching however, as Zlotowski has managed to land Hollywood star Natalie Portman for her disappointing followup, Planetarium. 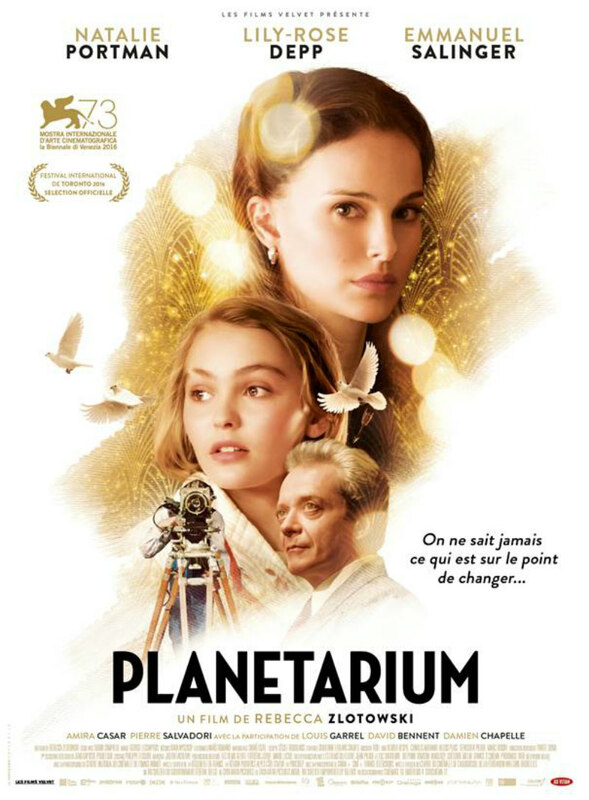 Set in the run up to the outbreak of WWII, Planetarium follows the psychically gifted Barlow sisters, Laura (Natalie Portman) and Kate (Lily-Rose Depp), as they travel to France for the planned first leg of a European tour. Their plans are altered when they encounter movie studio head Andre Korben (Emmanuel Salinger), struggling to hold onto his position amid a changing film industry and rising anti-Jewish sentiment. After holding a seance in which Korben claims to have been visited by the spirit of his dead brother, he moves the pair into his home and embarks on a project to capture the image of a spectre on film with the aid of their supernatural gifts. Planetarium plays like a curious blend of disparate sources. With its pre-WWII setting, Bob Fosse's Cabaret is the most explicit reference, complete with a scene in which our protagonists look on in discomfort as a nationalistic song is belted out by those gathered at a picnic. The idea that ghosts are in fact recordings left behind in physical locations recalls Nigel Kneale's excellent BBC TV movie The Stone Tape. Elsewhere, with Korben joining Kate in increasingly bizarre experiments, the spirit of Ken Russell's Altered States lurks in the background. Everything is in place for a fascinating genre mashup, but once the pieces are laid out on the table, Zlotowski doesn't seem to know what to do with them, and the movie gets sidetracked by subplots - Korben's attraction to Laura, and the latter's courtship of a handsome young actor (Louis Garrel) - that are nowhere near as interesting as the main plot could potentially be if explored with more vigour. With her own father having fled Poland to escape anti-semitism, this is clearly a project close to Zlotowski's heart, and no doubt to the Israeli-born Portman, but the use of the impending holocaust regrettably comes off as little more than a cheap device to generate some extra-textual dread. Planetarium shares some of the same themes and elements as the superior Grand Central - love triangles; an unseen menace lingering in the distance; a fascination with the workings of a particular industry - but here they're rendered in the most lacklustre and uncompelling of fashion. I look forward to Zlotowski's next offering regardless. Planetarium opens in New York on August 11th and in LA on August 18th. A UK/ROI release has yet to be announced.